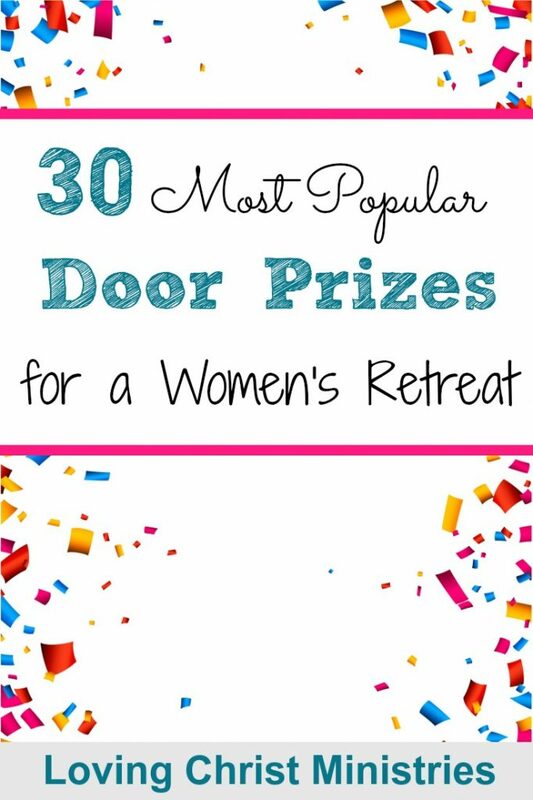 Having meaningful door prizes at your women’s retreats generates excitement and extra fun. Not that the ladies come for the door prizes, of course! But still, don’t you know they get just a little more attentive and energetic when their names are drawn? I like to write about different icebreakers and breakout sessions for retreats, but I sure don’t want to leave out the door prizes we hand out. Door prizes are so much fun! We give out a couple of door prizes at the beginning and then again at the end of each large group session. This helped with timing and keeping things running smoothly. The ladies hurried to start so they wouldn’t miss out on prizes and stayed to finish. You can adjust this according to what works best for your retreat. I’ve been to a retreat where they gave everything out last. That certainly kept the ladies to the end. Fun door prizes keep people coming to sessions and staying until the end. They offer a ‘brain break’ which makes for the best experience overall. There’s just no doubt about it – when retreat-goers walk away with a special prize, they feel special. Even those who don’t end up winning seldom walk away upset. Just the excitement and the possibility of winning keeps the energy upbeat. Whatever you decide to give the ladies will be perfect, I’m sure. Keep in mind that the more you give, the more excited they’ll be. Have fun! What are some of your favorite door prizes to give or to get? Let me know in the comments below. Want to remember this? 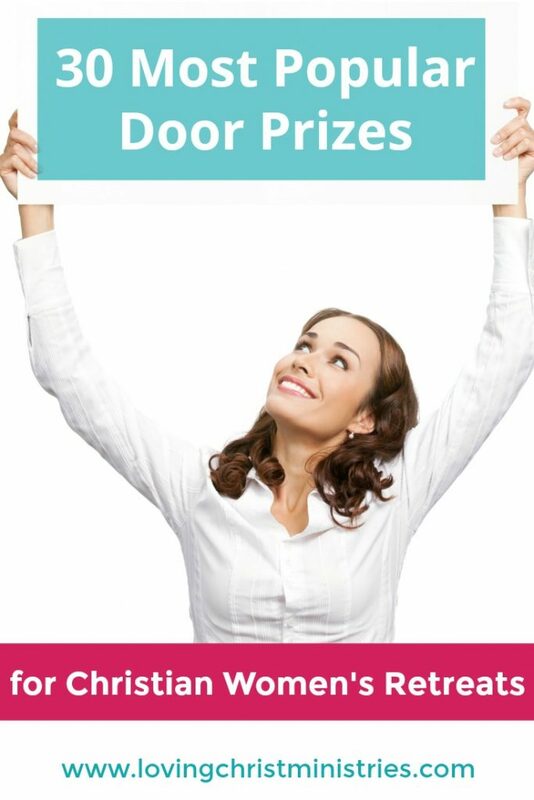 Post 30 Most Popular Door Prizes to your favorite Pinterest board!